Size: 8.13 x 6.68 mm. Star Sapphires are a classic and highly sought after gem. 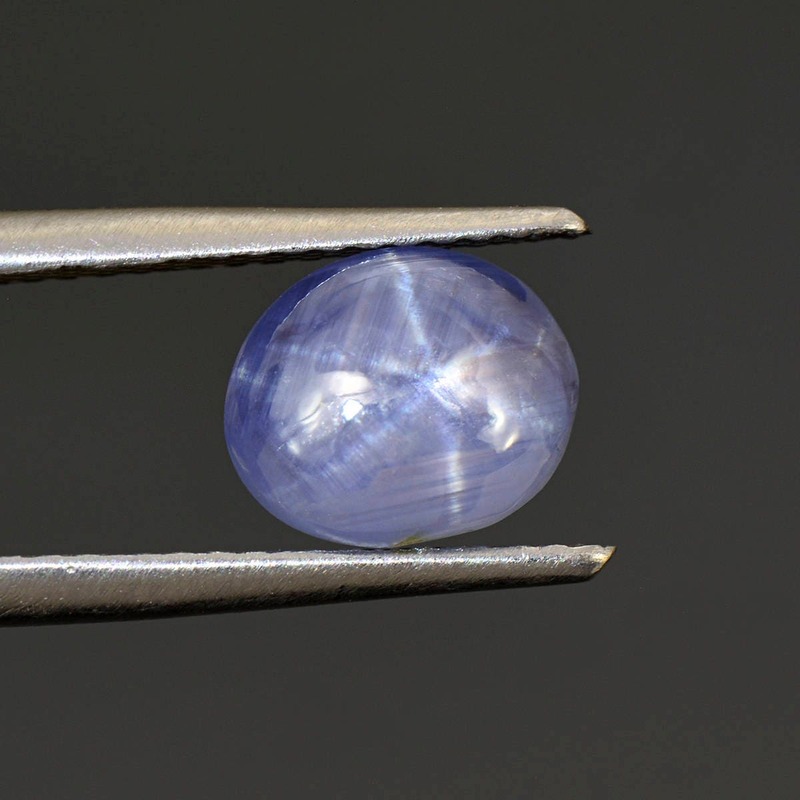 The demand for fine quality Star Sapphires is so high that a method to transform lesser quality Star gems through a diffusion process was developed some years ago. 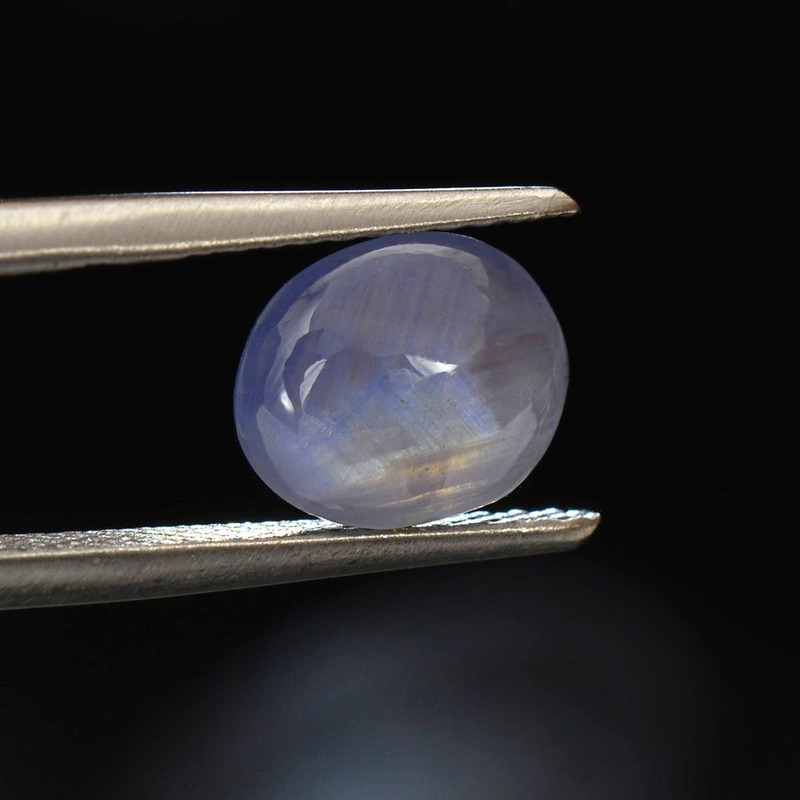 The market has many of these diffused Star Sapphires and has consequently driven the price up on natural Star gems. 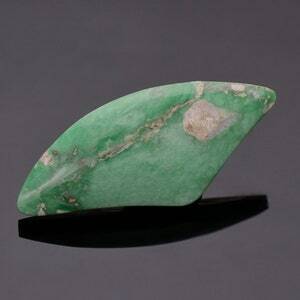 This stone is 100% natural and untreated, which makes it quite valuable for collections and/or jewelry. 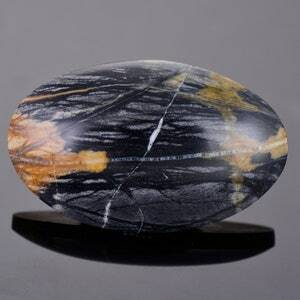 The stone is gemmy with an attractive highly sought after blue color. The rays of the star are fairly sharp and well define. 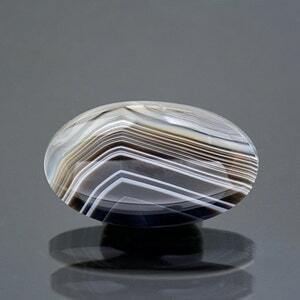 The orientation of the star inside of the gem is very nice. The stone was photographed with use of a single flash light illuminating the star. 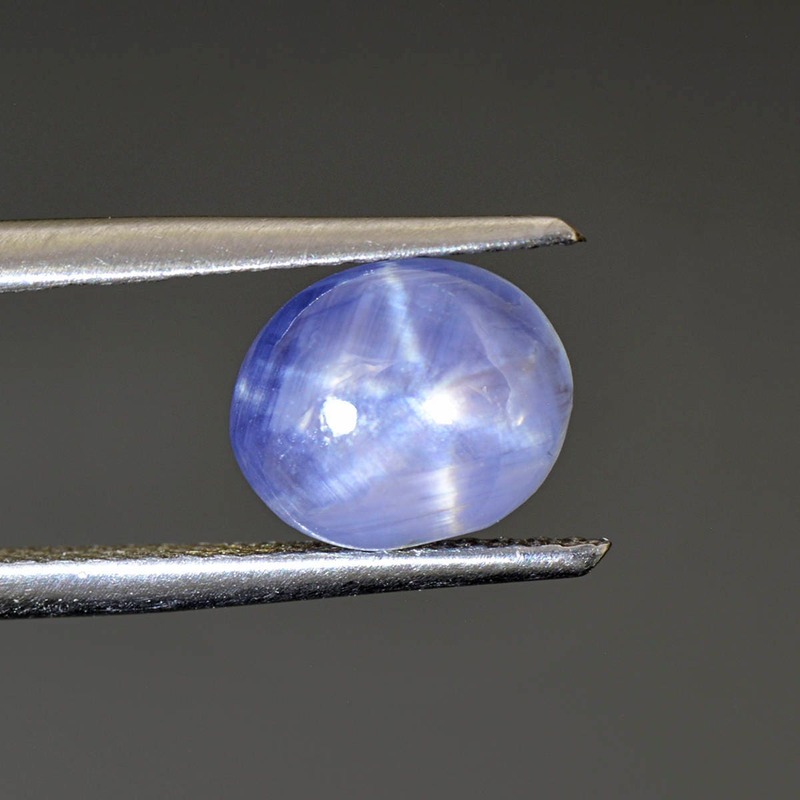 These gems often enough sell for hundreds of dollars per carat, and the best of the best for a natural Star Sapphire is in the range of $10,000 per carat. 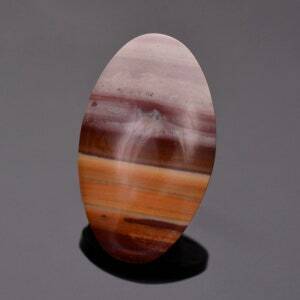 This stone will make a killer piece of jewelry or a fine addition to almost any gem collection. Enjoy!